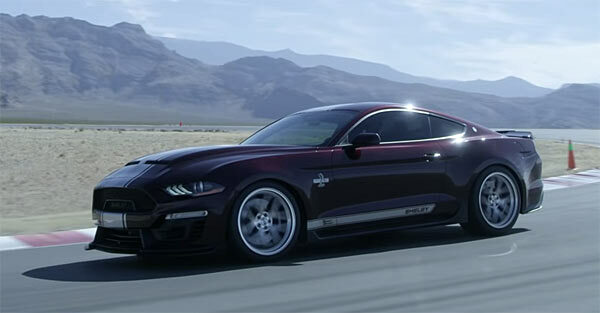 Ford already had a great design in the form of the GT, now the platform has Quad damage with the Shelby name, the super snake, wide body and 800HP. The 2019 Shelby Super Snake Ford Mustang Widebody looks the part, sounds incredible, and doesn’t just up the muscle car horse power stakes, but also is in the realm of taking on the rest of the performance car pack. The Starting price of $113,445 will give you a Ford 5.0L V8 710HP supercharger (800hp with the upgrade) with plenty of upgrades to keep all those horses firmly planted on the track. Shelby extreme cooling(radiator, aluminum tank, heat exchanger), performance half shafts, short throw shifter, One-piece drive shaft (manual only), Ford Performance track handling pack, Ford Performance exhaust, 20” forged aluminum wheels, Shelby by Brembo brakes and Shelby performance spec tires to name but a few. The wide-body kit and exterior features make the car even more aggressive looking. A new front fascia board, grille and front splitter, along with a rear spoiler, tail panel and diffuser. The interior gets a full Shelby upgrade with floor mats, door sill plates, gauge cluster, engine cap set and of course plenty of Shelby badging. The optional upgrades will give you the full 800 HP with a Whipple ssupercharger(producing 0-60mph in 3.5 secs. ), painted stripes, wide-body package and Shelby by Penske track suspension. Limited in numbers, each snake will have its own unique CSM number and will be included in the official Shelby Registry. The Super Snake has clearly got the power, track handling capabilities and looks. With all muscle/pony car makers currently upping their game in all areas of their car builds, it’s exciting times for the breed as the vehicles become ever more powerful and sharper. The future looks bright.